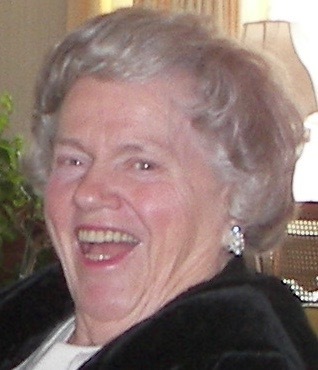 Patsy Joyce Wells, age 89, passed away on April 5, 2019 at Friendship Health and Rehab. Patsy was preceded in death by her parents Robert H. Blanton and Francis Mae Shea Blanton; her brothers Arthur and Robert Blanton; her husband, William J. Wells; their son, Samuel D. Wells; and, son in law, Curtis Hastings. She is survived by: her sister, Gladys Allison; her children: Sarah Hastings, Dorothy Jones (Bob), William B. Wells (Catherine), Gregory Wells (Lila); her grandchildren: Todd Hastings (Jessica), Teresa Jones, Alicia Wells Saxton (Aaron), Wesley Shea Wells (Cody Alexander), Melissa Jones O’Brien (Patrick), Alex Miller Wells, Bennett Wells, Fletcher Wells, Stuart Wells; three great granddaughters; and her daughter in law, Mary Leta Wells Smith (Chuck). Funeral services will be held Saturday, April 13, 2019 at 10:30 AM at Stoess Funeral Home, Crestwood, Ky, with burial in Lexington. Please see Stoessfuneralhome.com for further details.